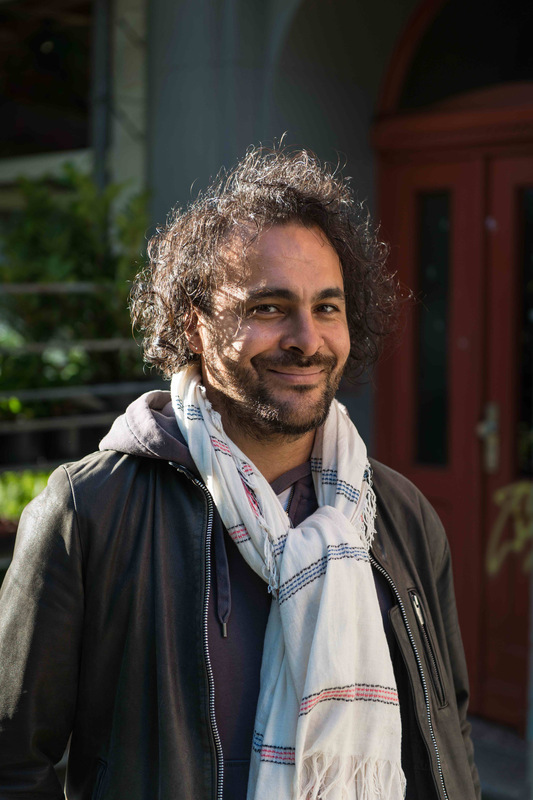 Working in a wide range of media, Kader Attia reflects on the aesthetics of different cultures and the repercussions of Western cultural hegemony. Working in a wide range of media, including photography, video, sculpture, drawing and installation, Kader Attia reflects on the aesthetics and ethics of different cultures and takes a poetic and symbolic approach to exploring the repercussions of Western cultural hegemony and colonialism for non-Western societies. 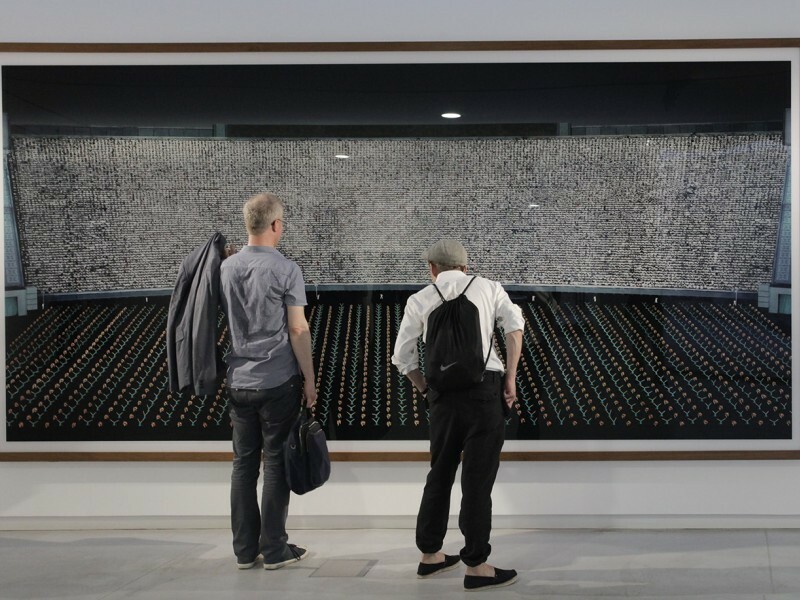 Solo exhibitions of his work include Sacrifice and Harmony, Museum für Moderne Kunst, Frankfurt am Main (2016); The Injuries Are Here, Musée Cantonal des Beaux Arts, Lausanne (2015); Culture, Another Nature Repaired, Middelheim Museum, Antwerp (2014); Contre Nature, Beirut Art Center (2014); Continuum of Repair: The Light of Jacob’s Ladder, Whitechapel Gallery, London (2013); Repair. 5 Acts, KW Institute for Contemporary Art, Berlin (2013) and Construire, Déconstruire, Reconstruire: Le Corps Utopique, Musée d’Art Moderne de la Ville de Paris (2012). His work has also been featured in group exhibitions at Sharjah Biennial 13 (2017); Leopold Museum, Vienna (2016); Solomon R. Guggenheim Museum, New York (2016); Museum of African Art, Smithsonian Institution, Washington, DC (2014); dOCUMENTA 13, Kassel, Germany (2012); Museum of Modern Art, New York (2012); Tate Modern, London (2011) and Manarat Al Sadiyyat, Abu Dhabi (2009). His work is part of the collections of Sharjah Art Foundation; Centre Georges Pompidou, Paris; Institute of Contemporary Art, Boston; Museo Jumex, Mexico City; Tate Gallery, London and Museum of Modern Art, New York, among others. He also served as interlocutor for the Sharjah Biennial 13 off-site project Vive l’Indépendence de l’Eau, Université Cheikh Anta Diop, Dakar (2017). 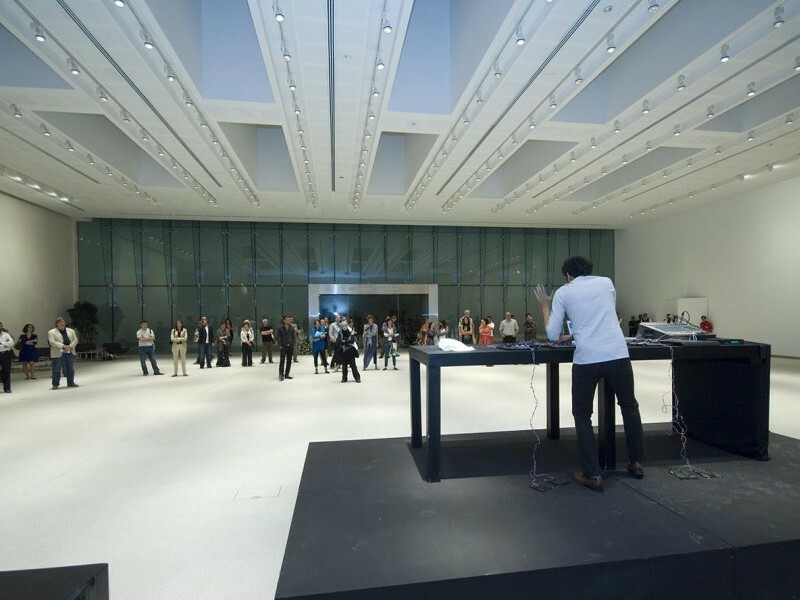 Attia was awarded the Priz Marcel Duchamp (2016), Cairo Biennale Prize (2009) and the Abraaj Capital Art Prize (2009). He was also commissioned to create the production designs for the Rambert Dance Company’s The Comedy of Change (2009). He holds degrees from the École Supérieure des Arts Appliqués, Paris (1993); Escola Massana de Artes Aplicades, Barcelona (1994) and École National Supérieure des Arts Décoratifs, Paris (1998). Born in Dugny, France in 1970, Attia currently lives and works in Berlin and Algiers. This person was part of Sharjah Biennial 13 and the Sharjah Art Foundation exhibition Disorientation II: The Rise and Fall of Arab Cities (2009). This selection of works from the Sharjah Art Foundation Collection explores themes of migration, borders and shifting landscapes due to social and political change. The utopian vision of pan-Arab unity of the 1960s and 1970s is contrasted with the reality of discord, conflict and bloodshed evident in the present day through the work of fifteen contemporary artists from the region. 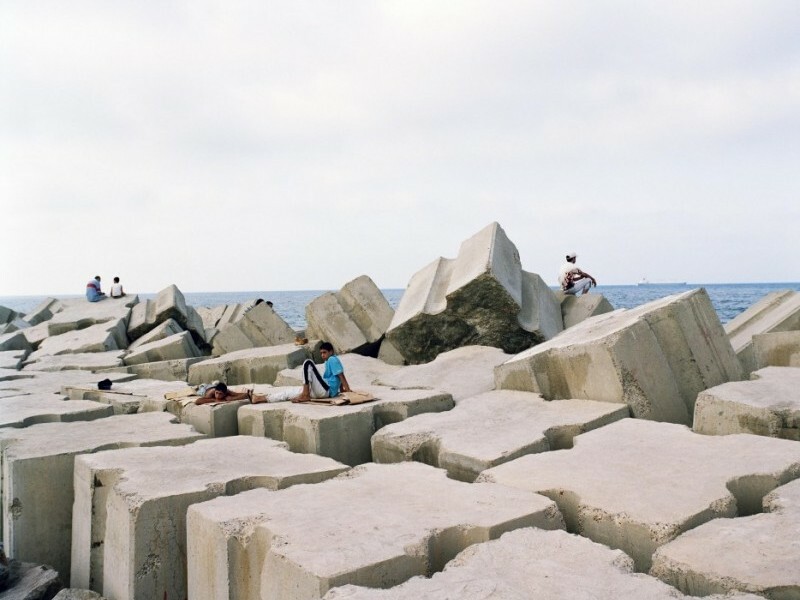 In Algiers, near the Bab el Oued neighborhood, there is a beach that young people nickname 'Rochers Carrés'.